The Indian miniature painting tradition is a world in itself and perhaps to understand it, one needs to actually observe it in detail with the care and attention that it deserves. 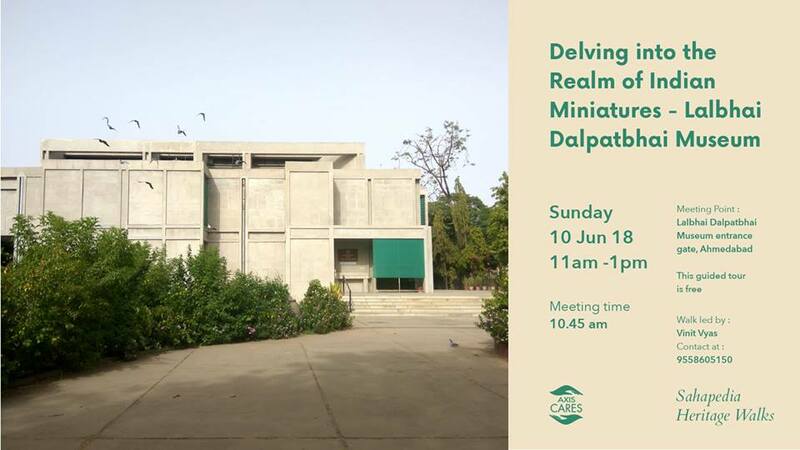 The Lalbhai Dalpatbhai Museum in Ahmedabad has one of the most illustrious collections of Indian art, particularly Indian paintings. Apart from other artworks, the museum has three galleries, namely the Muni Punyavijayji gallery, Kasturbhai Lalbhai collection and the N C Mehta gallery, completely devoted to Indian manuscripts and paintings. Going chronologically, through this walk we will delve into the collections of the museum by highlighting some masterpieces of Jain manuscripts, Mughal, Rajasthani and Pahari paintings, with an emphasis on how to ‘look’ at the paintings. In case, one is unable to participate, after having registered online, do inform about the same, through a text message or an e-mail, ideally at least a day prior to the walk. Register only if your participation is confirmed.